This nail art started with the sponged gradient. I painted on my purple base, and then used a triangle makeup wedge to sponge on a gradient of purple, pink, and coral, with the coral at the tips to mimic a setting sun. 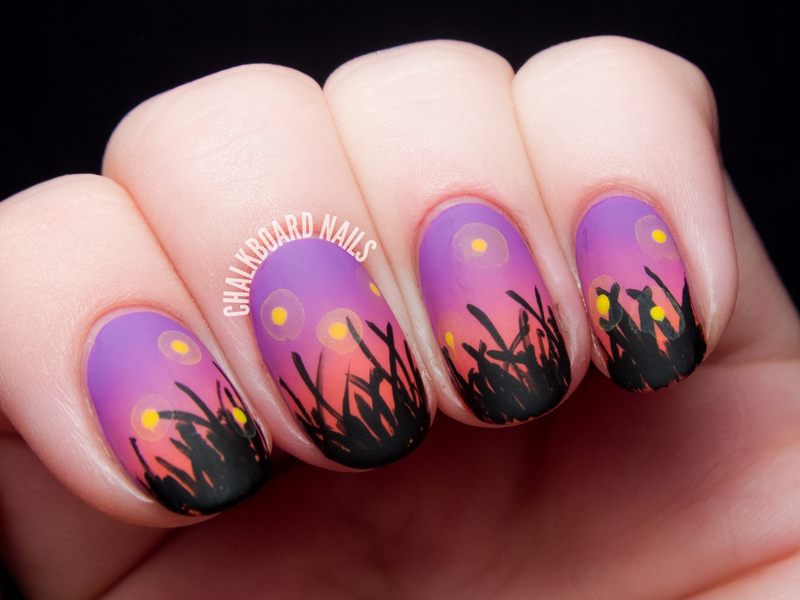 After that was finished, I used a small nail art brush to paint on the grass/rushes with black polish. I used the bubble technique and yellow acrylic paint to make the firefly halos. Be sure to check out my quick tutorial for this technique if you've never tried it before! I added a dot of yellow polish in the center of the halos for the little fireflies themselves, and finished the manicure with a layer of glossy and then matte topcoat. This manicure has quite a few steps, but none of them were particularly hard! It's all about layering techniques and styles for good effect. 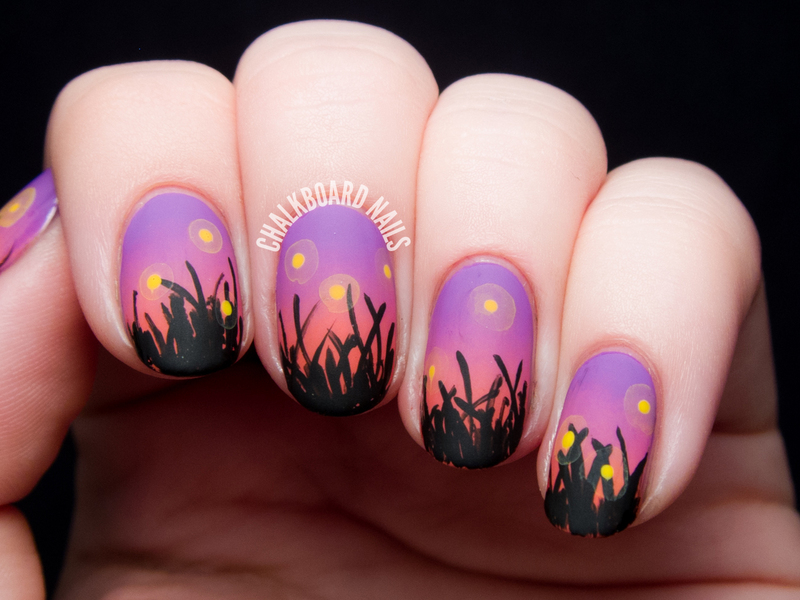 I'm so pleased how these turned out and I think they really read as fireflies in a field. This is so pretty! I love fireflies! This is brilliant! You do such an amazing job of combining relatively simple techniques to create absolutely breathtaking looks! This is stunning! I love the colors you used. Ok well this is gorgeous! Why do you do a layer of glossy topcoat before a layer of matte? Just to test out both looks, or does it affect the outcome of the matte in some important way? Great question! I always put glossy topcoat first because it helps smooth out any bumps in the nail art and protects the nail art from smearing from the matte topcoat. I adore this! It reminds me of my childhood, chasing fireflies! OMG Sarah! Titakky blown away you did an amazing job! Soooo lovely! I saw fireflies in Arizona once when I was camping in a small canyon. It was so unexpected, I didn't think you could find them there! I love this nail art so so so much! Just gorgeous! WOW, just wow!! This is fantastic! This is amazing! Does the gloss top coat help keep the matte from chipping? My matte top coat chips pretty badly. Yes it can - I mainly use it to smooth out the nail art before matting and prevent smears. this is absolutely spectacular! Wonderful job! This is gorgeous! I love the detail. This is so perfect it doesn't even look real. I love it. Fireflies used to be so prevalent in my area but not so much anymore. Your beautiful mani brings them back to memory! That's so beautiful! We do have fireflies, and when I looked at that I was transported right out into my backyard at sunset. LOVE it!! Love the halo's you created around the fireflies, makes it that much more perfect! Picking that technique for the halos is just a stroke of genius! LOVE this nail art! this looks AMAAZINGGGGG. 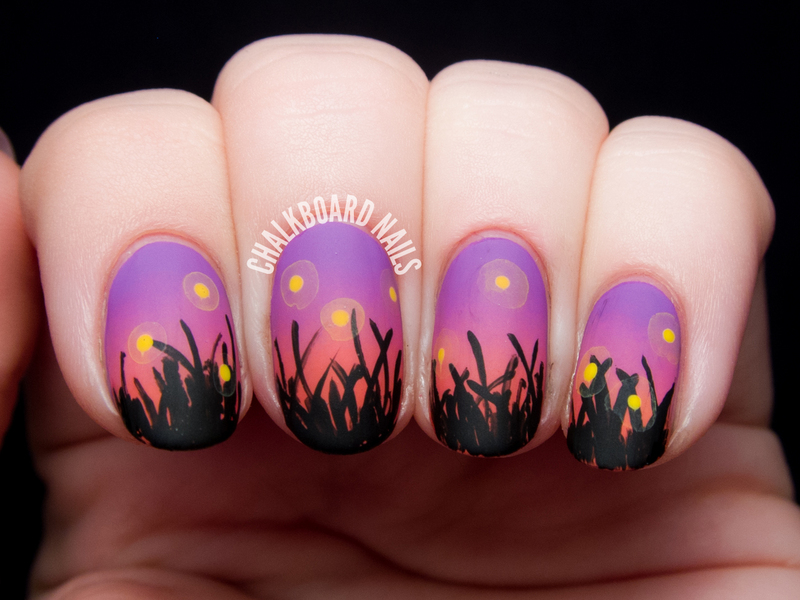 but i do have to say when it was smaller in my reader I thought it was a concert with a bunch of hands up (and the fireflies were the lights) I think that could be a fun twist on this manicure with just a few adjustments! Either way I love this and the colors and technique are flawless. This is by far a little piece of artwork on nails, and there is nothing else for it. The firefly effect has worked wonderfully, and it just. Too much amazingness to process it all. Ugh! Total perfection. 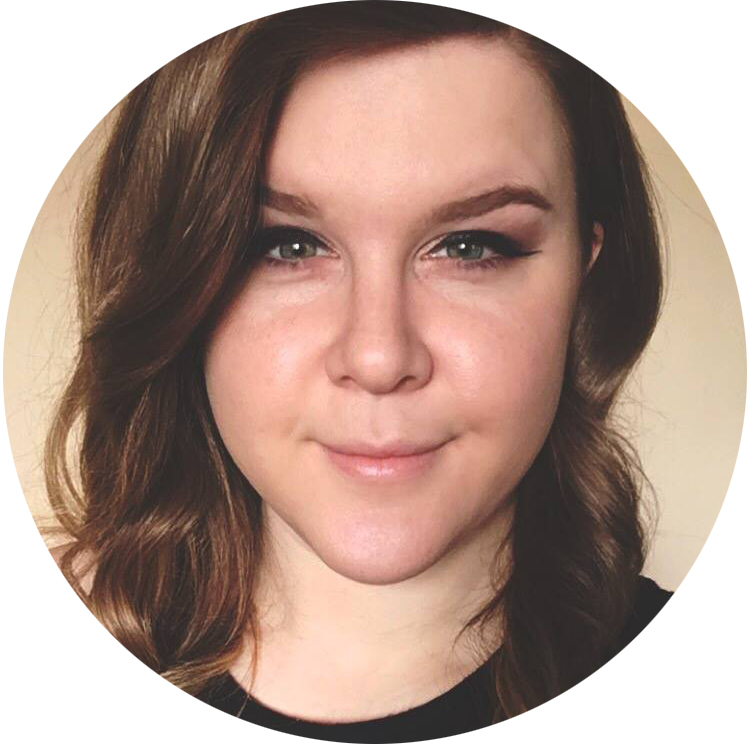 I need to create a place where I can see all your designs, they inspire me so much! Love love love! Am definitely going to try this!